Hot Chili has executed a binding memorandum of understanding to acquire a landholding that adjoins two of its projects in Chile. Hot Chili (ASX:HCH) has executed a binding memorandum of understanding (MOU) with Chilean mining group SCM Carola to acquire a 100-percent interest in a landholding that adjoins two of Hot Chili’s projects. 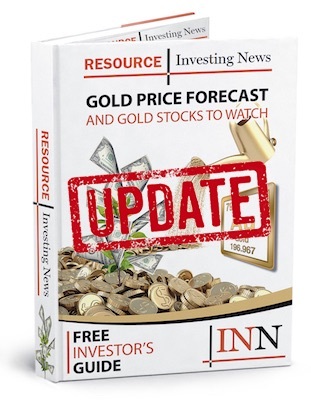 Along with physically connecting the Productora and El Fuego copper projects, the landholding, dubbed Vallenar, includes a major copper-gold porphyry discovery called Cortadera. According to Hot Chili, a successful acquisition would lend potential for a “globally significant” new copper development centred around Cortadera and Productora. “We are very pleased to have agreed the key commercial terms for an option to acquire 100 percent of Cortadera for incorporation into a single larger development with Productora, taking advantage of planned central processing facilities,” said Hot Chili Managing Director Christian Easterday. “Cortadera looks likely to provide the immediate critical mass required to develop a new large-scale, long-life, coastal copper mining centre which leverages off existing infrastructure advantages already secured with Hot Chili’s joint venture partner at Productora, Chilean mining major Compania Minera Pacifica,” he added. The Cortadera deposit is located 14 kilometers southeast of Productora, Hot Chili’s flagship copper project. Thirty-nine diamond drill holes across 23,231 meters have been completed at Cortadera since it was first drill tested and discovered in January 2011. No resource has yet been estimated at the deposit, though the company feels “minimal work” would be needed to establish an initial estimate. Under the terms of the MOU, Hot Chili subsidiary Frontera is to pay US$30 million over three instalments across 30 months. This will entail US$5 million within six months of the MOU’s execution, US$10 million no later than 18 months from the MOU’s execution and US$15 million no later than 30 months from the MOU’s execution. It is expected that the companies will enter a formal option agreement in the coming months, allowing Hot Chili to begin drilling across key areas of Cortadera. In addition to the MOU, Frontera said Monday (February 4) that it is entering a formal option agreement with a private Chilean group to acquire the Purisima Mining Right, which contains approximately 500 meters of strike extent through Cortadera’s 2-kilometer discovery zone. Completion of the acquisition in combination with the MOU will allow Hot Chili to fully consolidate Cortadera. Purisima currently sits at a US$1.5-million purchase price with the option agreement laying out a three-year payment plan for Hot Chili. The agreement entails US$50,000 to be paid by February 14, followed by US$100,000 one year after the first payment, US$250,000 two years after the first payment and US$1.1 million three years after the first payment. A net smelter return royalty of 1.5 percent will also be granted across any future production that takes place within Purisima. Capping off a very eventful start to the week for Hot Chili was the news that the company has arranged a $1-million private placement and a $2.2-million rights issue. The company says funds from the placement and rights issue will go towards general working capital requirements, with a specific focus on drilling preparations across Cortadera and advancing funding discussions with SCM Carola. Hot Chili’s share price skyrocketed 27.27 percent on Monday (February 4), closing the day of trading on the ASX at AU$0.014.